City view Hotel in Bhiwadi is well located on the Bhiwadi More near the main bus station. The hotel is known to offer free Wi-Fi facility to their guests. They also have 24 hours open reception making it accessible to guests all day long. City View Hotel in Bhiwadi offers two kinds of rooms - deluxe room and twin sharing room. 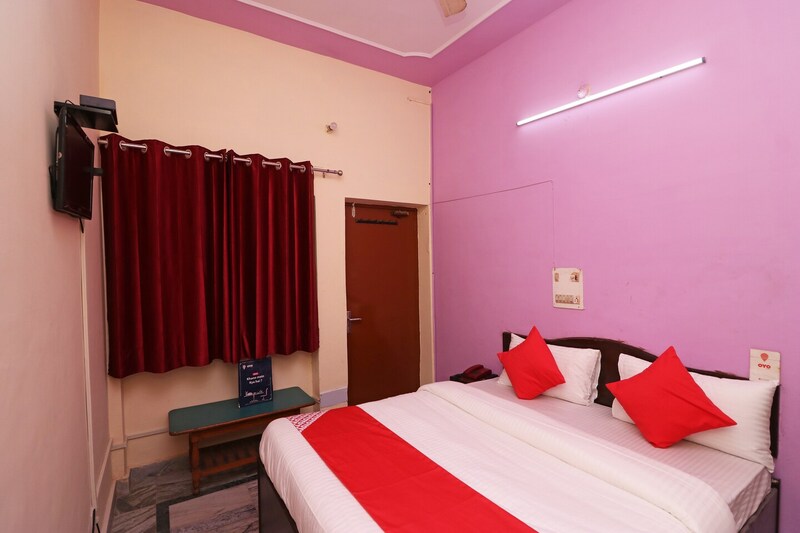 The rooms are spacious and have beautiful pink walls to accentuate the looks. Wooden furniture is used in the rooms to enhance the look and feel. Amenities included in the room include AC, TV and a mirror. The guests can easily drive to Gurgaon that is about 30 minutes away from the hotel. It is also near to local tourist spots like Baba Mohan Ram Mandir and Baba Mohan Ram Temple Pond.